Many of the fat cats and Wall Street rats who actually run the country have gotten what they need from the U.S. economy. Where does that leave the rest of us? 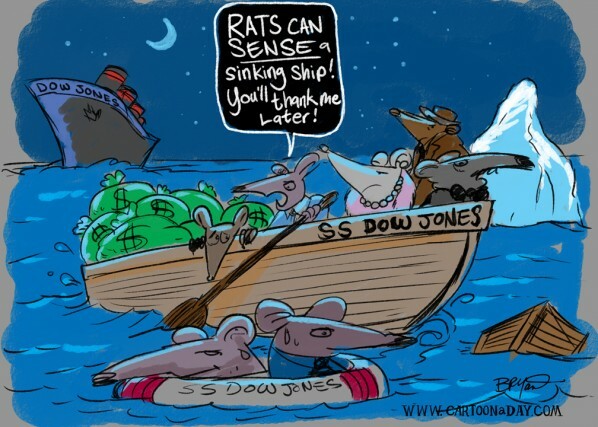 Wall Street rats abandon the Dow Jones ship.